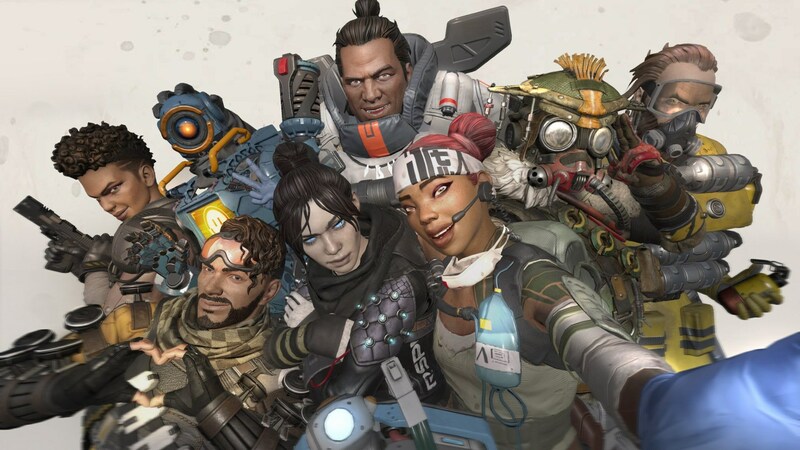 With its unique mashup of battle royale and hero shooter genres, Apex Legends can be an intimidating game to get started with. Like PUBG and Fortnite, for example, the objective is to survive to the end. But unlike those two games, there’s no solo mode, and cooperation with your teammates is absolutely essential if you’re going to make it to the finish. And like Overwatch, synergies between classes are important, but unlike Overwatch, you can’t blame everybody else for not staying on the payload when you lose. 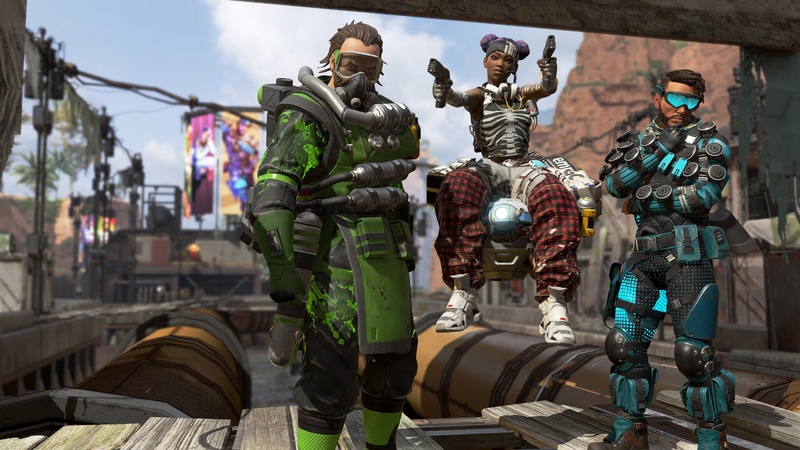 We’ve compiled this convenient primer of Apex Legends features and strategies for you, whether you’re a noob getting ready to play your first match, or a so-called “pro” who hogs the loot and doesn’t bother respawning their teammates. You know who you are. You can speed up your drop by performing the Swooping Hawk Power Glide. The idea here is to drop straight down a bit then level out, drop down straight and level out again until you land. It’s a technique you must learn for getting down as fast as possible. Those on the ground first usually win a firefight. The Swooping Hawk Power Glide is a made-up name, but you can use it. 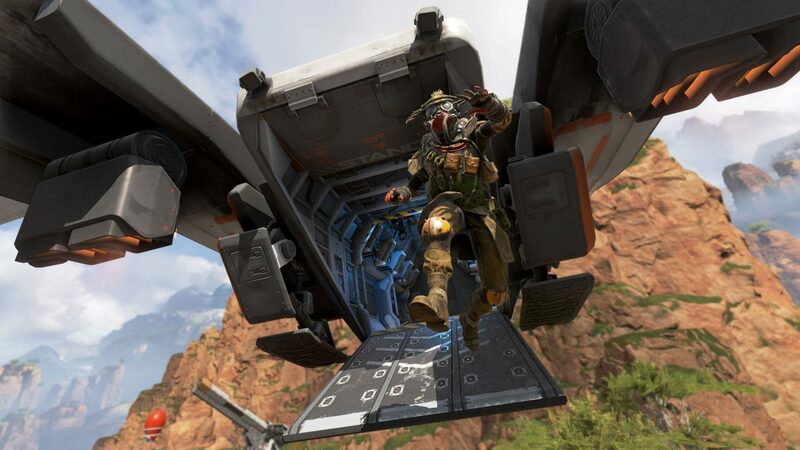 There’s no fall damage in Apex Legends, so you can jump from buildings, ziplines, whatever, with zero concern for the consequences of gravity. This is the future, and gravity doesn’t even matter. 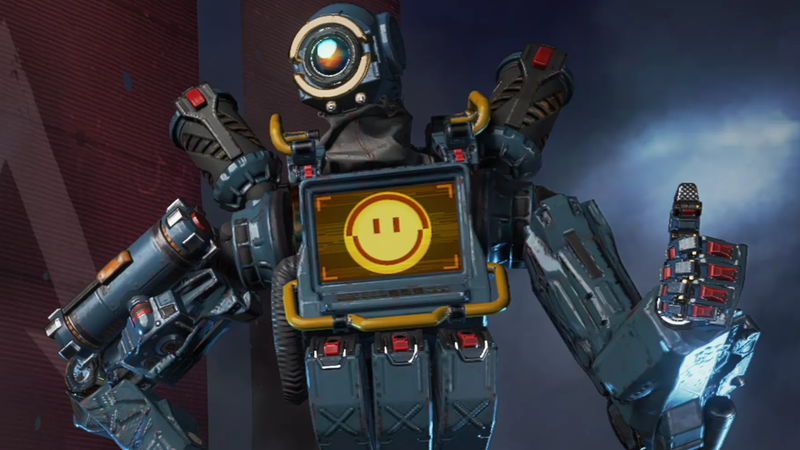 Apex Legends has a cool map decoration in the form of large party balloons dotted around the map. If it’s your birthday and you go near one of these balloons you’ll hear Pathfinder (the robot) singing happy birthday to you. Just kidding, but wouldn’t that be fun. You can ride up the vertical ziplines attached to these balloons and boost off them to quickly traverse moderate distances, however, making them a useful emergency evacuation mechanism if you’re suddenly in the middle of a hot zone with nothing but a Mozambique. It’s possible to switch direction while on a zip line. Just jump off, 180 and hook back on again. You can also attach to any point on a zip line at any time, so jumping off things and onto zip lines is a thing. But it’s not a thing when you’re gliding off a balloon. 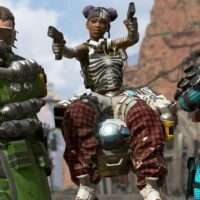 Mobility is a key factor in Apex Legends. Climbing over something is quicker and easier than walking around it, and you can scramble up and onto almost anything in the game. Experiment with this to learn what too high means and how long it takes to climbs over things, because every second counts. You can also slide by sprinting and pressing C on a keyboard or the crouch button on a controller, and swapping between a run and a slide makes you very hard to hit. Lootable items are graded in quality according to colour, from grey (common), blue (rare), purple (epic), to gold (legendary). If you see a gold item, grab it – because even if you die doing it, you’ll be able to tell your grandkids you touched a gold item in Apex Legends. The two gold guns are the Mastiff shotgun and the Kraber .50-Cal Sniper. The shotgun is basically a two-hit killer (at 144 damage per shot), and the sniper will do 125 long-distance damage per hit. Lethal, hard to find and they also come with their own unique ammunition – so use what you get well. There are currently four gold attachments. The two optics available (a sniper and a 1x), allow you to see enemy players through smoke, highlighting them behind things for easy acquisition. There is a barrel stabilizer to improve your spray-and-pray “tactics”, and a turbocharger for the Devotion LMG – effectively turning it into a liquidiser. The gold gear also includes a backpack that doubles your healing rate, and lets you carry six more items. The gold body shield absorbs 100 damage, and regenerates itself if you perform a finisher on a downed player, and the gold helmet reduces headshot damage and reduces all your recharge times for tactical and ultimate abilities. Finally, the gold knockdown shield can resurrect a player once. In general, high tier loot zones are randomly spread out around the edges of the map. You know what kind of zone you’re in because just under the name of the zone (this will popup top left when you enter it), it’ll say something like “high tier loot”. So you can take one of two strategies. One, drop into a hot zone right under the dropship and fight it out for weapons with many other players. 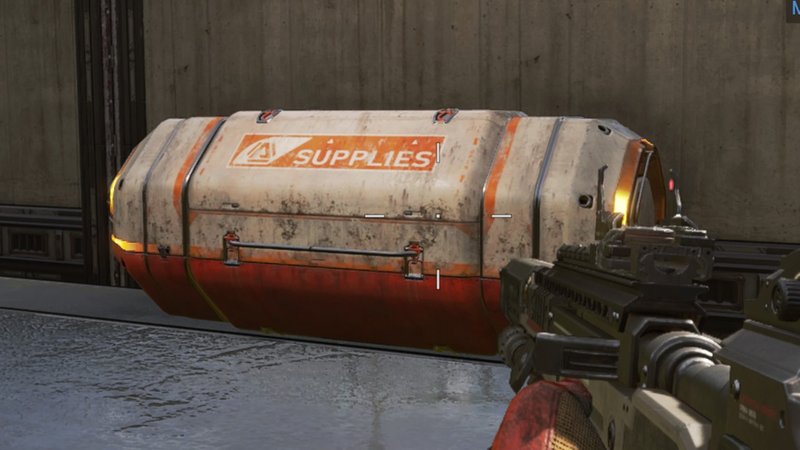 Two, pick a spot away from the main line of travel of the drop ship and loot at your leisure. Option one usually means more kills and deaths. Two usually means fewer kills but a longer survival time. You decide. A supply ship spawns at the start of every game. Landing here will yield good looting rewards. But everyone knows this, so EVERYONE tries to land on the supply ship. Eventually this ship lands itself, and it’s worth investigating in case something useful got missed in the kill frenzy. 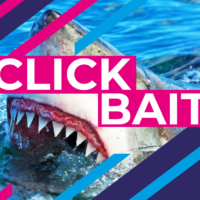 True story – happened this one time. The supply ship can also be a decent end game fort. When the game starts, a blue circle (on the map) or a blue beam of light will be visible. This location includes a fully kitted-out gold weapon and higher tier loot. Worth visiting if you like to die early on. Additional loot drops also happen around the map occasionally during play – look out for a (different) blue beam of light. These drops do contain nice things, but everyone knows that too so make sure you’re alone or someone else will get the drop on you too. When you hover over ammunition or attachments, a white outline will indicate if you can use that type of thing or not. This saves time until you learn the game and all its complex interconnecting idiosyncratic interactions. If you accidentally pick up something you don’t need, you can open your inventory and drop it for somebody else. THIS IS A THING YOU CAN ACTUALLY DO, GUYS. Dead player’s crates are also colour-coded, with the colour of the crate corresponding to the highest high level item they have – so keep an eye out for gold-coloured crates. Open up a crate to pick and choose from the things the person you killed was carrying, and if there’s a red line through a item it means you can’t use it. As for enemy shields, if you pick one up out of their inventory it comes fully charged. If you pick up a new gun all your attachments will transfer to the new weapon provided they fit (this also applies to attachments in your inventory). If you’re carrying a shotgun attachment, for example, and you pick up a shotgun that attachment will automatically be fitted to the gun. Respawn must be credited here for taking tedious messing around with scopes and magazines out of play. Nice one! Loot Tick robots spawn randomly on the map, and you can shoot or punch them for extra loot items. Or you can leave them alone. Some say this act of mercy will mean future loot drops will contain better loot. This might be a true story, and it might not be. The developers did hide little dinosaurs around the map after all. Plush dogs too, but don’t investigate the dog story too much – it’s kind of sad. 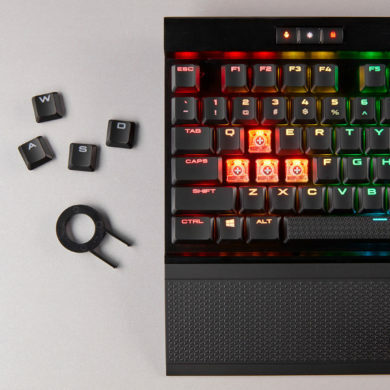 Some optics attachments feature variable zooms, and pressing Left Shift on a keyboard or clicking the left stick on a controller (depending on your button assignments) will switch between these modes. The last mode you selected will be the first mode next time you look through the scope. On sniper scopes the mil dots are scaled to correspond to the distance on the range finder – this is for the full screen sniper scopes only. So if a target is 500 meters out on the range finder, simply line up the five mil dot with your target’s head, slowly breathe out, and squeeze the trigger. You can switch your rate of fire on some guns by tapping B on a keyboard or left on a controller D-pad. Nothing worse than going in thinking semi-auto and firing a three-round burst. NOTHING worse! 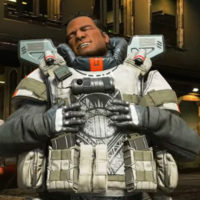 Grenades have a four-second timer to detonation (there’s no grenade cooking in Apex Legends). You’ll also take damage from your own grenades, so handle with appropriate caution. The trajectory arc is very precise, so if you time a long throw properly you can almost achieve an impact detonation with no warning for enemy players. On the subject of throwing things, the Arc Star has a few unique characteristics – it sticks to surfaces, stuns enemies, and causes some splash damage. The timer on an Arc Star is three seconds, but this only starts once it sticks to something – the ground, a screaming enemy, or even a bold teammate who’ll take one for the team. So to speak. When jumping into a zone, don’t rush off in different directions when you land. You should all still be together – just not all looting the same building. This is effective because you get loot quicker, and if the area is busy will give enemy teams fewer opportunities. When you get knocked down, use your new situation to help your teammates win the rest of the fight. Mark enemy players, block doors, and distract enemies with your knockdown shield. The more time they spend messing around with you, the higher the chance your teammates will take them out. So be brave in death and you might get respawned – especially if you make the effort to crawl to where they are and beg for that new lease on life. When your teammates are firing their weapons, muzzle flashes will appear next to their names on the HUD. Knowing where they are, and their health and status can help in a firefight. Just make sure you all stick together in this game. One versus three is always going to be harder than three versus three. It sounds obvious, but you’d be surprised. Or maybe you wouldn’t. It’s a fact that information wins battles. 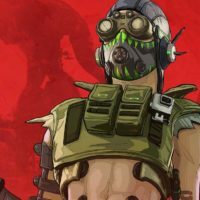 Knowing where an enemy is or where they’re headed is always going to be better than not knowing, and Apex Legends has a contextual ping system to communicate without even talking. You can ping items on the ground, a suggested direction, unopened supply boxes, or even enemy locations. Study the ping system, learn the ping system, use the ping system, and you and your teammates will be doing better than 94 percent of the others. Pinging items in your inventory like ammunition or attachments or shields will let your team know you need that item. They might have it, you never know. But in the early game looting frenzy, who has time for pings and opening inventories. On the roster screen, hovering your cursor over the character you prefer while the other players are choosing theirs will highlight this as your favourite or preferred pick. It might not make a difference but sometimes people don’t mind playing other characters and will let you have what you want. The person to pick their legend last is always the jumpmaster, unless they don’t specifically choose a character. Then that “honour” will go to someone else. Every character in the game has their own unique abilities, including passive abilities. Learn about these things, and use them in the game. It’ll keep you alive longer and maybe even win a round or two. In the lobby screen you can read up on everything everyone can do. Mirage can activate his decoy while dropping into the action, so use this to bamboozle players. They’ll waste so much terror-time looking for someone who isn’t there. Lolz 4 ever. Make sure you wiggle around when looting, there’s nothing better than someone standing still for a nice headshot while looting a crate. It’s like taking jingo berries from a moss goblin. 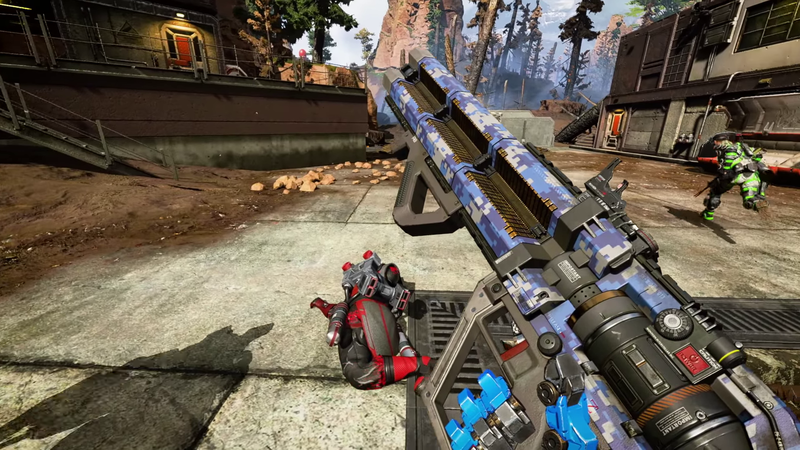 Melee attacks (or mielie attacks, if you’re playing with locals) are included, if not super effective, in Apex Legends. You can punch enemies, or sprint and tap the melee button to execute a cool flying kick for 30 points of damage on an enemy player – or bust open a door, if you prefer to make a dramatic entrance like that. Melee scuffles tend to happen in the early game, and it’s possible to rack up a kill or two here until someone finds a gun. You can survive for 30 seconds in the game’s no-go zones. Use balloons to get up onto mountains and other places you’re not supposed to be, and you’ll know you’re in the wrong (right) place because a 30-second timer will begin to count. Use this time to scout the terrain, snipe, or let you squad know where the bad guys are. It’s a viable late-game strategy when it’s all about good intel in the last minutes of chaos. You can holster your weapons by pressing 3 on a keyboard or triangle or Y on a controller (PlayStation or Xbox respectively). Why? Because this makes you run faster – helpful when you’ve been looting too long, and the zone begins to collapse. You may have noticed when shooting people numbers appear above them. These numbers are colour-coded – if they’re wearing blue armour the damage number will be blue, white for white, and purple for, well purple (it also shows as purple if the enemy player is wearing any of that rare gold armour). Headshots come up as gold. Then red damage means no shield and you might just win this one. Incidentally when your ammunition eats through someone’s shield you’ll hear a distinct breaking glass sound.